Harry Blackstone Jr. at TPC Communications, Pittsburgh, Pennsylvania, June 4, 1981. Photo by Jerry Interval (copyright 2018 Tom Interval). 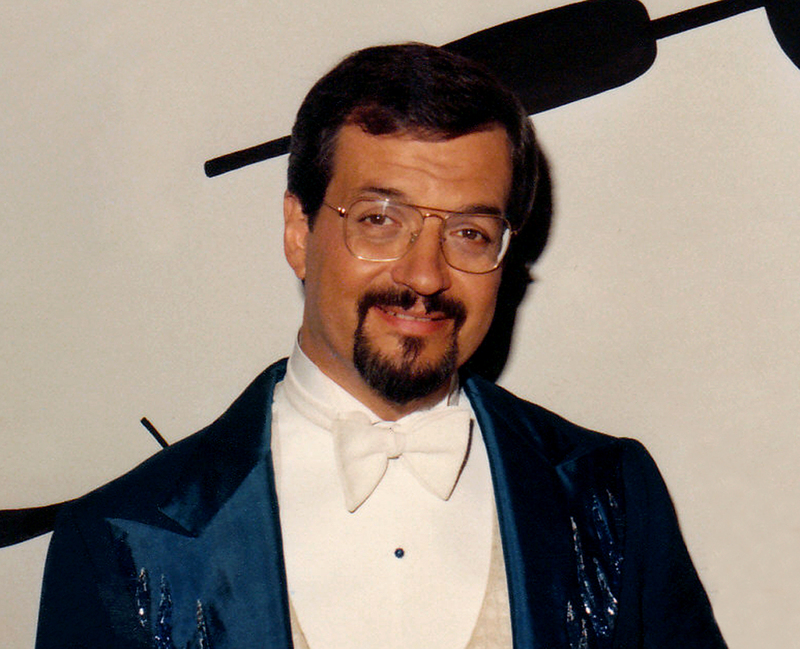 Eighty-four years ago today, classic illusionist Harry Blackstone Jr. was born in Three Rivers, Michigan. Harry, the son of The Great Blackstone, performed many of the same illusions his father passed down to him but with his own brand of showmanship adorned with an unmatched, full-toned voice that mesmerized his rapt audiences. Sadly, he died in 1997, but his memory saturates the Web. If you don’t know much about him, I highly recommend reading more and watching a video or two of him in action. And if you want, please read my memories of meeting him in 1981. In the mean time, here’s a video of him performing two of his classic pieces of magic I think you’ll enjoy. Happy birthday, Harry! Copyright 2018 Tom Interval. All rights reserved. This entry was posted in Birthdays, Famous Magicians, Harry Blackstone Jr., Paul Daniels and tagged 1980s, bird cage, birthdays, blackstone, dancing handkerchief, dancing hanky, disappearing, great blackstone, happy birthday, harry blackstone jr, jr, magic, magicians, memories, sr, vanishing birdcage, wishes. Bookmark the permalink.